At Palm Beach Oriental Rug Cleaning Pros, we understand that no two handmade rugs are the same. Almost every area rug has a unique condition that requires a customized process. We carefully inspect and analyze it’s construction, condition, and dyes to avoid damage. Our rug cleaning process starts with inspection followed by dusting. This is important as grit deeply embedded can act as sand paper causing deterioration and damage to the foundation of the rug and needs to be removed before wetting the rug. 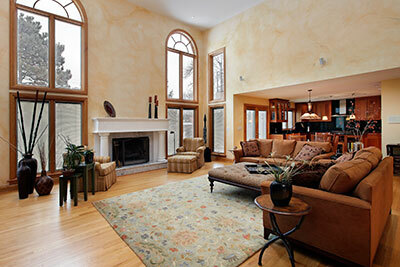 Don’t settle for anything less than a professional area and Oriental rug cleaning. Made-up of fine and fragile fibers, oriental rugs require a gentle but effective approach to cleaning. Our trained technicians at Palm Beach Oriental Rug Cleaning Pros know how to handle all delicate area and oriental rugs in Jupiter Island. Don’t take the risk of trying to attempt to clean your own rugs. Many people cause damage to their rugs by using the wrong cleaning solutions and equipment. 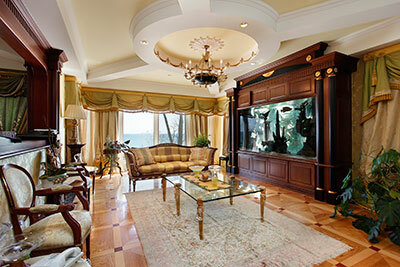 Your area and oriental rugs are too expensive and special to take that risk. Our team will first assess the area rug and pay attention to heavily soiled or high traffic areas that may need extra attention. We then determine which cleaning solution and equipment to use to get the best results. We use shampoo and steam extraction cleaning. This method is gentle but effective at removing all dirt and pollutants in your area rugs. Your area rugs will look like new! Professional rug cleaning is recommended every 2-3 years. Our hand washing process eliminates residues, allergens, dirt, stains, soil & toxic substances – cleaner and healthier for you & your family. 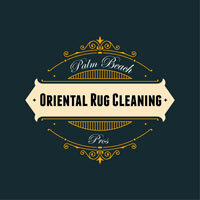 At Palm Beach Oriental Rug Cleaning Pros, your rugs are measured and the rug dyes are inspected for bleeding. We look for pre-existing damages. We’ll point these areas out and provide an estimate for repair plus best course for action, whether it’s necessary or worth the investment. All repairs will be done before washing to eliminate chance of any further damage. Then, your rug is dusted front and back. Settlement of dust, sand, or grit lay at the foundation of your rug and reduce the life of a oriental carpet by causing premature wear. Your rugs are dusted to bring out these particles. An extremely important step in cleaning rugs, it cannot be preformed in your home, by a commercial wall-to-wall carpet cleaner. Next, your rugs are soaked front and back with plenty of clean, cold water, rug shampoo (non-toxic) is applied and then hand washed – scrubbing direction going the way of the rug pile. All work is gently done by hand to insure that no damage is caused. We’ll rinse and squeegee the front and back to remove the remaining rug shampoo, contaminants and particles completely. We make sure no residue of any cleaning or spotting agents is left in the rug. Any remaining water is extracted from the your carpet using an extraction vacuum. There is no dripping. The rug is carefully hung to dry in a temperature-controlled room with filtered air-drying conditions. We pay special attention to the fringe and hand brush them once more after washing. We never use bleach – will break fibers. Damaged fringe, whether your fringe has been chewed off by your pets, torn by the vacuum cleaner, or worn off from heavy foot traffic, you do need to take action it right away. If left uncared for, my increase damage by unraveling the rug knots over time.